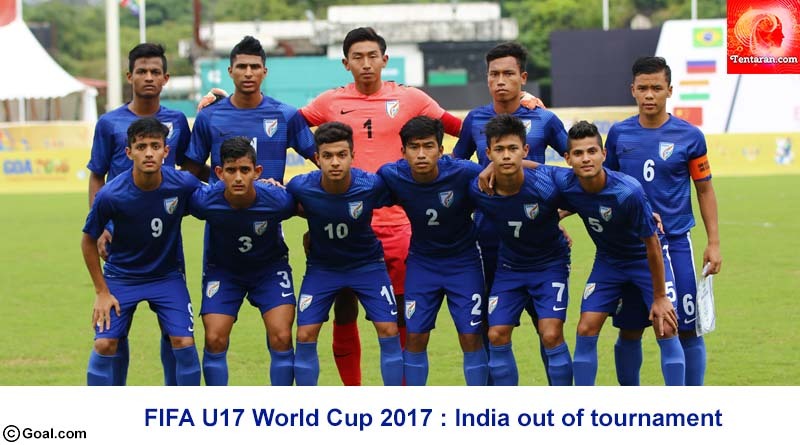 India’s debut at the World Cup ended in bitter disappointment as they crashed out of the FIFA U17 World Cup with a 4-0 loss to Ghana. Playing their final group match at the Jawaharlal Nehru Stadium in the capital, India failed to shine for the third match in a row. Having lost their previous two matches, the defeat meant that India remained winless in the tournament having scored only one goal in the process and conceded 9. People braved traffic jams and road movement restrictions as they came out in huge numbers to support the men in blue in their last group match of the U17 World Cup. An electric atmosphere greeted the Indian players as they took the pitch against Ghana in their third match of the tournament. The Indian faithful left no stone unturned as their voices loudly rang through the entire stadium in a bid to push the team to their first win at the World Cup. Coming off the back of a gritty and determined performance against the mighty Colombia in which India got their first World Cup goal too, the team was in high spirits as they looked to better that performance and go past Ghana. It was however not to be so Ghana proved to be clearly stronger and more tactically aware team. A great performance by them put them on top of the standings in Group A with 6 points and a goal difference of +4. The difference in quality was such that India managed only 3 shots as compared to Ghana’s 22. Eric Ayiah scored two while goals from Richard Danso and Emmanuel Toku wrapped up a dominant performance for Ghana. With the defeat, India exited the World Cup. Ghana, Colombia, and the USA qualified from the group for the round of 16 after Colombia defeated USA 3-1 in the other match of the night.